So far I've mostly harped on things in movies or video games that are bad, but it can be important to point out examples of good in science fiction as well. There is one common issue in science fiction that is more drawn to light by the few shining examples where it was done correctly, rather than the majority of shows and movies that flagrantly ignore reality. This issue is sound in space. Any person can think of three or four shows where this is done incorrectly. This is usually because some high level person on the show forced them to include it because otherwise "it just doesn't seem realistic." The reason that this doesn't seem "realistic" to these executives is that they grew up in an atmosphere. In space, where there is no medium for sound to travel in, you can't hear anything. As the saying goes "In space, no one can hear you scream." So, what are some movies and shows that did it right? 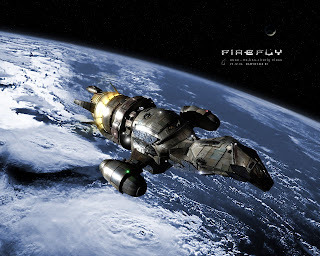 First off, as was hinted at by the name of this post, Firefly. Whenever there was an outside shot of a ship that wasn't on a planet, the only sound you heard was music. This is a perfect example. It doesn't require annoying silence, and it worked quite well, dramatically. 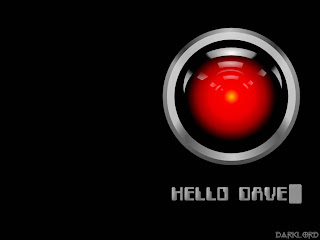 Another example of someone doing it right, scientifically at least, was 2001: A Space Odyssey. In the extended director's cut, there was a scene where one of the crew was outside of the ship for about 10 minutes. During the whole scene, the only sounds are the hissing of air from his space suit life support system, and some communications. It made the scene feel very desolate and creepy, but it was paced a little slow. There are ways, however, of using the silence of space for good dramatic effect. 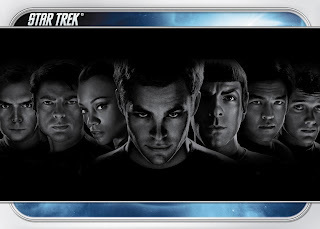 In the most recent Star Trek movie, the first battle featured some poor red-shirt getting fwooshed out of a hole in the hull of the ship. As the sad crew member transitioned from the pressurized interior of the ship to the vacuum of space, all the crazy exploding battle sounds stopped. It made for a very clear contrast, emphasizing how hectic the inside of the ship was. 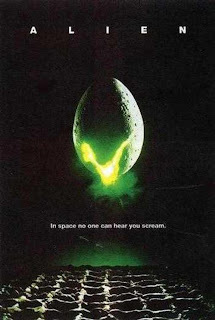 Another interesting example of sound in space was the climactic explosion of the Nostromo in Alien. Although there was sound in that scene, the sound was reasonable, given the situation. A nice ballpark amount of atmosphere needed to carry sound is that on the surface of Mars (about 1% of Earth's). Using that as a benchmark, the vaporized ship would have provided an envelope of sound approximately 15 km in radius. Finally, if external ship sounds are necessary for the story, take a page from the movie Event Horizon. The entire film took place in the upper atmosphere of Uranus. Not only are there most of the hazards and issues of being in space, but there is also some nice creepy clouds, lightning, and most importantly, sound. It is absolutely beyond me why movie makers continue to insist that sound in space is required by audiences. There's no dramatic reason for it that couldn't be accomplished in a more realistic manner. For most scenes, an accurate portrayal would help to highlight the stark unfamiliarity of space. Hopefully more people will be like Joss in the future. More new images of the forthcoming Air Jordan 12 Premium in deep royal blue continue to be revealed, as this revamped iteration of the basketball silhouette is suggested to make its debut Jordan 4 later this Fall 2016.Essentially covered in the defining blue tone, the model receives a lifestyle upgrade with smooth suede and textured leather overlays draping the entire composition. Further detailed with tonal laces, eyelets and Jumpman-branded panels on the side, Jordan 9 the model receives subtle accents of white and grey via branding along its tongue and heel section.Topped off with a matching full-length rubber sole unit, you can expect to find this pair at select Nike and JB stockists nationwide Jordan Shoes 2016 starting November 12th for a retail price tag of $200.Click and bookmark our official Air Jordan 12 Deep Royal Blue launch page now for more images, the latest info and release details.